Here the compositional challenge is how to relate the 4 parts across the divisions. 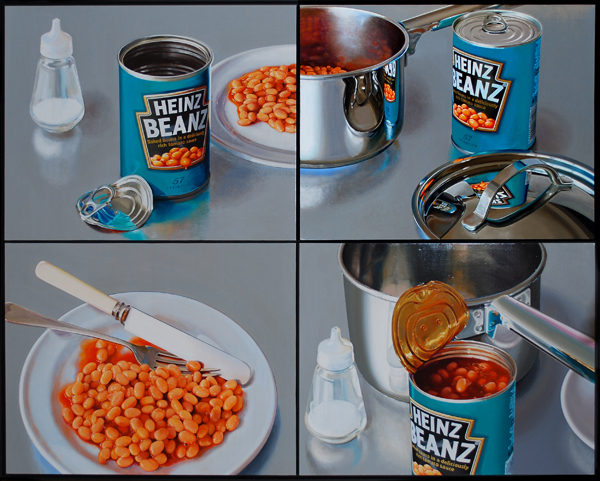 The plate of beans is the fulcrum around which everything rotates. Above it, a pot metamorphoses into a plate, and to the right, the pot lid slides off the pot below, which is about to be filled.